Martin’s latest novel delves into the lingering questions surrounding the Mary Celeste, an American brig found drifting, intact but abandoned, in the open Atlantic in 1872. Eschewing a traditional linear narrative for an unconventional yet far more effective structure, Martin creates what seem at first to be loosely connected vignettes. Arthur Conan Doyle, who wrote a sensationalist tale about the ship’s fate in his youth, appears at several different points in his life, and a journalist crosses paths several times with an enigmatic medium she hopes to debunk. It progressively becomes clear that their stories link in multiple ways with the Briggs family of Marion, Massachusetts, many of whom died at sea. Characterization is first-rate, as is the historical sensibility. Subtle undercurrents of impending tragedy create a disquieting effect throughout, a fitting atmosphere for a work about a society preoccupied with making contact with deceased loved ones. The scenes of maritime disasters are realistically terrifying. A haunting, if sometimes slowly paced, speculative look at a long-unsolved maritime mystery and the unsettling relationships between writers and their subjects. The Ghost of the Mary Celeste is published by Nan A. Talese/Doubleday next week in the US ($25.95, hardcover, 320pp). It will also appear from Weidenfeld & Nicolson in the UK on February 20th. This review first appeared in Booklist's October 15th issue. 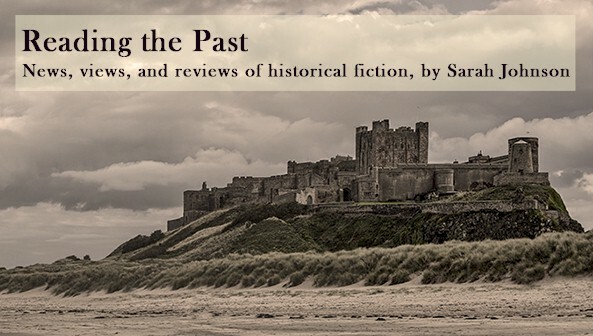 - Before the ARC for this novel landed on my desk, I hadn't heard of the Mary Celeste before, and I'm not sure how I missed knowing about it. My lack of familiarity with the fate of its captain's family definitely heightened the suspense. That said, there should be plenty of surprises in this novel even if you know the basic history. - I love the cover art. It captures the mood of the novel perfectly. - Marion, Massachusetts, is a picturesque seaboard town that sits at the gateway to Cape Cod. At the risk of inserting an inappropriate moment of levity in the discussion of a serious literary novel, I can't resist posting a link to singer-songwriter John Forster's performance of "Entering Marion," his very funny tribute to the town and driving around Massachusetts in general. He gives some historical background to the state's quirky road signage in his intro, and it's worth putting up with the shakiness at the beginning to see the rest. 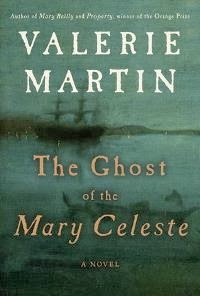 - Martin's novel is one of those books that got me hooked on its subject; I've been seeking out more information on the Mary Celeste ever since. In 2007, the Smithsonian Channel produced an hour-long documentary, "The True Story of the Mary Celeste," that posited a solution to this haunting mystery. I watched it last month and have to say it was mighty convincing. It's being re-broadcast a few times in early February in the US and seems to be shown pretty regularly. You've convinced me to add this to my wish list. I've not heard of the Mary Celeste before either. It's funny, ever since I read the book, I've seen the Mary Celeste mentioned in many other places - not just the TV special, but elsewhere as well. Though I've heard about the Mary Celeste, I don't know much about it. What a perfect mysterious event to craft a story around. Hi Cynthia, if you ever get a chance to see the Smithsonian show, it's hugely informative - it answered many questions I had and then some! The whole story is several unsettling mysteries wrapped into one. The Briggs family was indeed "marked by tragedy," as the book's blurb states - their stories are heartbreaking. Very nice review, I hope you don't mind I linked back to it on my own. I will definitely have to check out that Smithsonian documentary - like you, I had never heard about the Mary Celeste before picking up the book.